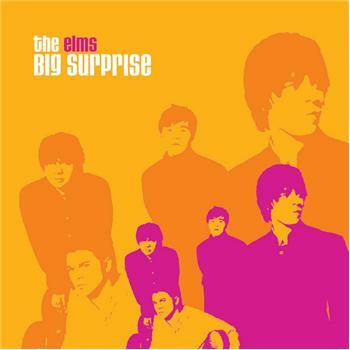 Song of the day: The Elms – "Hey, Hey"
I was surprised to discover that The Elms is a Christian band, because up until then I thought the band was yer standard rock band populated by young males with hormones to spare, and I thought the lyrics to “Hey, Hey” were all about you-know-what (or, as HG Nelson puts it, “horizontal folk-dancing”). I had no idea that they were actually singing about you-know-Who. Yeah, hey, hey guys! Hey, hey guys! What’s the prize if we won it? Yeah, hey, hey girls! Hey, hey girls! What’s the world got to offer? If you need it, you got it! I found it, I bought it! You can’t ever take it, or fake it… Hey, hey, hey! Yeah, hey, hey you! Hey, hey you! Is it true, all the rumours? Should’ve tried – tried this sooner. Everybody’s gonna bow down sometime. Well, maybe the “Everybody’s gonna bow down sometime” line’s a bit of a giveaway, but for me the lyrics can apply equally to young folk discovering the joys of doin’ what young folk do. I must admit it’s not the first time I’ve misinterpreted the lyrics of a song. For example, whenever I hear The Beach Boys‘ “Still Cruisin’,” I think they’re singing about a serial killer at night hearing voices in his head telling him to kill again (“Come on, let’s cruise, you’ve got nothing to lose…”). I know that virtually the entire population of the planet will think that it’s an innocuously bright and sunny song, but the music’s creepy when I imagine it’s about a serial killer talking to himself (it was the music, not the lyrics, that first got me thinking the song was about a serial killer). And this video doesn’t help one bit. You are currently browsing the archives for the Elms category.